When you want a vehicle with great ground clearance, all-wheel-drive, value pricing and seating for seven, there really isn’t anything that ticks boxes better than Mitsubishi’s big-boy compact crossover, the Outlander. That said, the Outlander often gets left out when most of us discuss modern compact CUVs. The popular choices according to Edmunds.com’s most researched crossovers are the CR-V, Escape, CX-5, RAV4 and Forester –the Outlander doesn’t even crack the site’s top 15. It appears Mitsu has an image problem, because when you get into the nitty gritty, there’s a lot in this unassuming package. 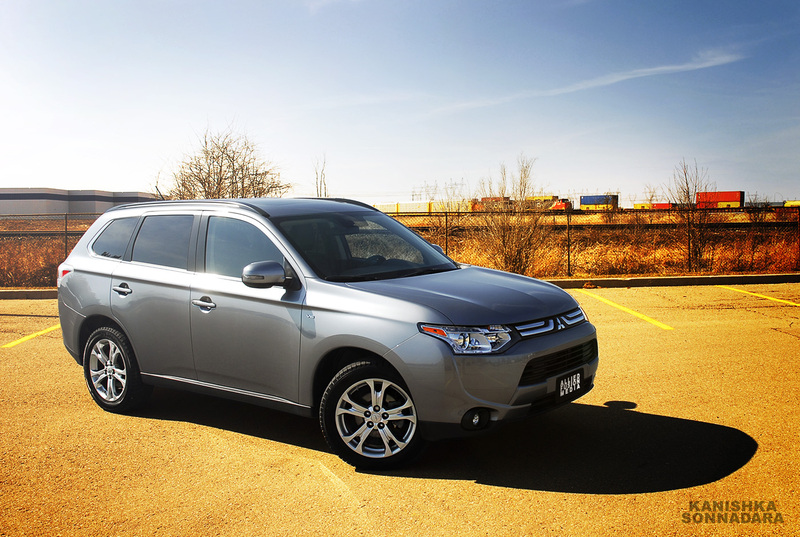 In it’s third generation, the 2014 Mitsubishi Outlander brings us strong fuel economy figures, some advanced safety kit, along with styling that’s best described as a little nerdy and safe. For a short while, the Outlander had adopted a front grille that bore close familial resemblances to that of the EVO, and for a moment it seemed Mitsubishi would unite all their vehicles with similar styling. That look however was dropped for the 2013 model year as the company opted for softer lines and more aerodynamic styling with this generation of Outlander. On the inside, my GT trimmed test vehicle was a pleasant place to be. Simple design, soft-touch materials, and controls that are easy to operate make up the Outlander’s cabin. 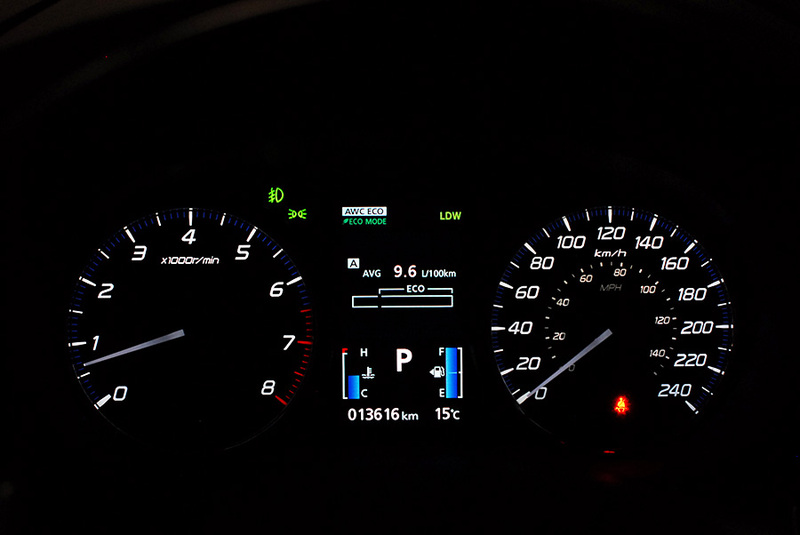 A centrally mounted 7-inch touch screen plays host to a well rendered navigation unit and the vehicle’s entertainment and communications systems. All this comes as a $2,730 option on the GT trim priced at $36k; sorry, no nav if you don’t pony up for the top trim level. Heated front seats, heated mirrors, tinted rear windows, Bluetooth phone and audio connectivity, 16-inch alloy wheels and a CVT are all standard features even on the base $26k ES trim Outlander. Stepping up to the SE trim upgrades the Outlander powerplant from a 2.4L 4-cylinder to a 3.0L V6 mated to a 6-speed automatic transmission. SE trim also sees the introduction of fold-flat 3rd-row seating. GT models get a more advanced All Wheel Control (AWC is Mitsubishi’s brand of AWD) system now called Super AWC, an active front differential, a lane departure warning system, a forward collision sensing and mitigation system called FCM, adaptive cruise control, a cabin wrapped in leather plus a head banging 710-watt Rockford Fosgate audio setup that can do no wrong. 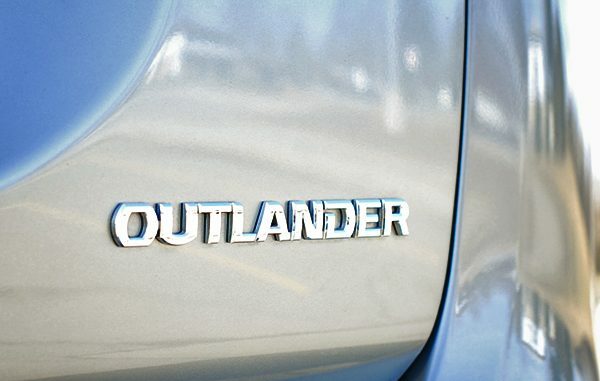 Get to driving, and all the contemporary tech features in the Outlander won’t hide it’s reserved road manners. The steering is light at all speeds, the suspension soft and supple and the V6 motor coarse at high RPM, a sporty crossover this is not. 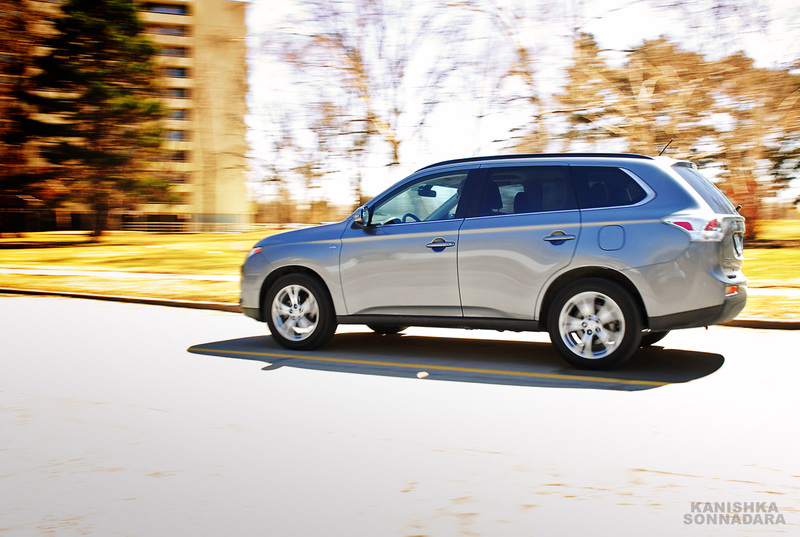 In many ways the 2014 Outlander’s driving characteristics are reminiscent of crossovers from years past; it’s strength lies in smooth, easy driveability. Truthfully, it’s a breath of fresh air in a market segment that belligerently pursues dynamic handling –I love it, because if I wanted sporty, I’d buy a sports car and not a 7-seater, AWD crossover with space for my dogs. Those fold-flat 3rd-row seats are really what differentiate the Outlander from any other crossover in this class. “It seats seven” may be great for marketing, but the first time you send children back there –those seats are definitely not meant for adults– you’re sure to get some unhappy grumbles. My group of test subjects stepped out of 3rd-row seating after a 30 minute drive ready to do anything to not have to be sent back in again. They called it “punishment seating” and tried every game of chance known to middle-schoolers to get out of it. Although the 3rd-row seating isn’t ideal for daily use, in a pinch, having an extra couple of seats stashed under the floor of your relatively compact crossover is a proper bonus. If seven seats are important to you as a buyer, the Outlander’s competition comes in the form of the competitively priced Nissan Pathfinder. For a few thousand more however there’s the Kia Sorento, Hyundai Santa Fe, Toyota Highlander, Honda Pilot, Ford Flex, Mazda CX-9 and Chevrolet Traverse; all of which are also larger vehicles. 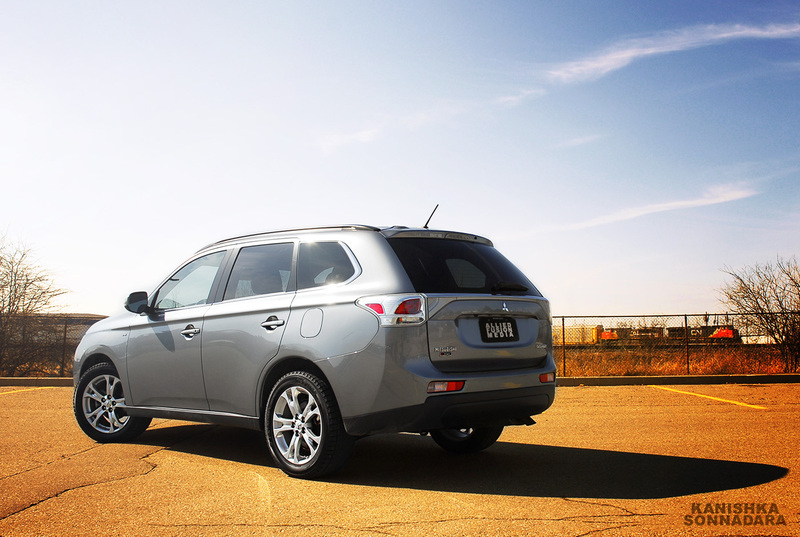 In it’s size and price class, Mitsubishi’s true competition for the Outlander all come in the form of 5-seater crossovers; a few of which were mentioned at the beginning of this article. Many of these competitors do outshine the Outlander in everything from handling to styling to fit and finish, but if seven seats are a bonus you want, the Outlander is likely the best bet for your money. 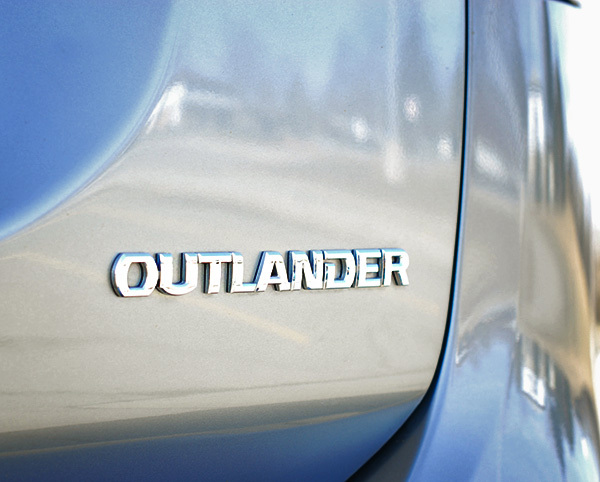 The Outlander’s manufacturer warranty is one worth bragging about, and the company often does. A 10 year/160,000km powertrain coverage and 5 year/100,000km basic coverage combined with a 5 year/unlimited km roadside assistance program makes for a sweet incentive for buyers on the fence. Mitsubishi’s rally racing pedigree may not always translate to sales for the brand, but the 2014 Outlander does a tremendous job of showcasing some of the company’s strong points and challenges the norms of what can be accomplished with a compact crossover.